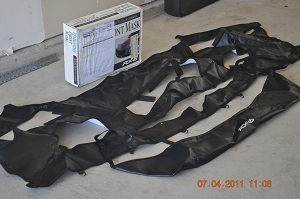 This is basically a re-post of items I have up for sale in the General For Sale area. I thought I'd get a few more hits locally if I posted it here. I hope I'm not breaking any rules. I'm in the Cedar Park/Leander area. from my local Mazda dealer, Roger Beasley North and paid $135 (125 + 10.31 tax). I'm letting it go for $100 plus shipping. is complete and in excellent condition, instructions included. and unused; still in their plastic packaging. Leander). They've been sitting in my closet since. I'm working on getting pictures of everything, so please be patient with me on that or if you prefer, I can email them to you. Local guys are free to come by and check out everything. My '8 in this picture is not lowered. 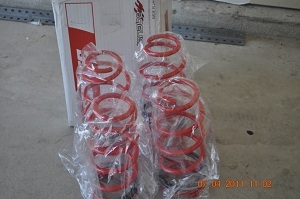 Those are stock springs. I recently purchase a 2012 Ford Mustang GT, so there's no reason to hang onto these other items. is the cobb unmarried? does it have the dongle? pics? Yes, the cobb is unmarried. I have pics, but have not had a chance to upload them. I have the port, dongle, box, usb cord and disk. 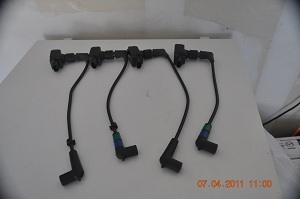 Interested in your plug wires and ignition coils. Can you post/send me any close up pics of the coils? I can try again, but my original attempt was too large to upload. I had to downsize them in order to post it here. Post your email and I'll email the originals to you. Due to college the 8 is up for sale.